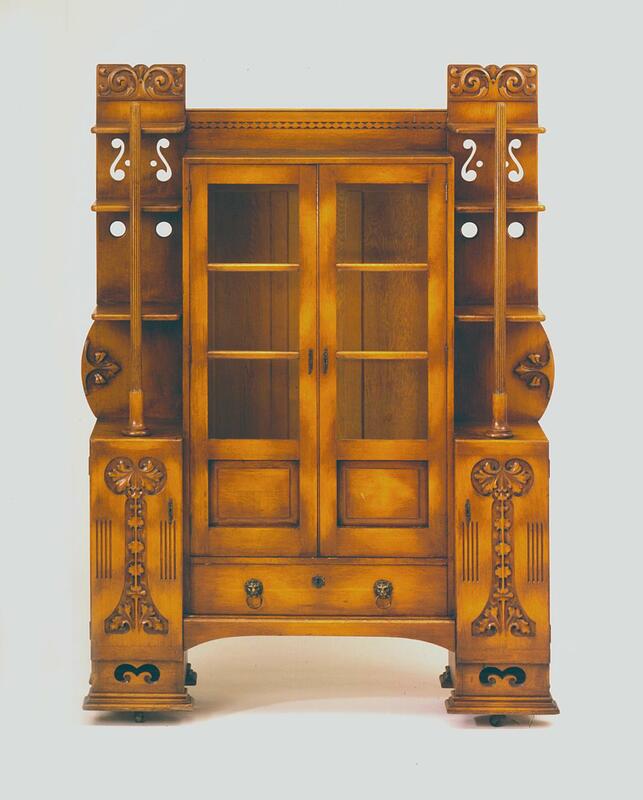 The oak bookcase, designed by David Kendall and showing English Aesthetic and Arts and Crafts influences, has a Cremona finish creating a play of dark and light on the cabinet’s surface. 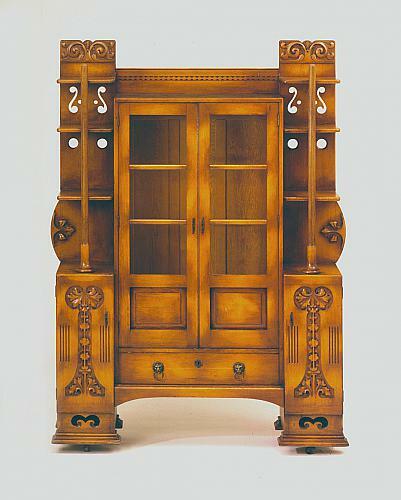 The four small side shelves have a reeded post attached vertically on either side of the two doors. The doors feature three glass panels, the fourth panel, at the bottom, is wood. Cupboards, with pleat carving at the sides, are beneath each set of side shelves. One full-length drawer beneath the bookcase has lion-head drawer pulls.